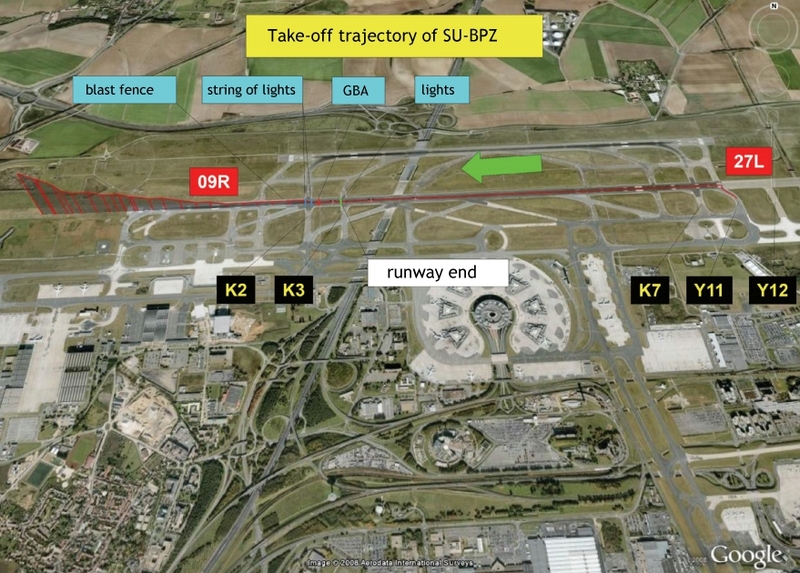 The French Bureau d’Enquêtes et d’Analyses (BEA) released the final report of their investigation into a serious incident in which a Boeing 737-800 struck runway construction markers on takeoff from Paris-CDG, France. On August 17, 2008 at 00:57 local time, AMC Airlines Flight AMV6104 struck some provisional lights at the end runway 27L at Paris-Charles de Gaulle Airport. Then, during the rotation, it destroyed some markers on the safety-barrier positioned in front of the construction zone. It took off before a provisional blast fence and continued its flight to its destination. Repair works on runway 09R/27L were in progress between 4 and 20 August 2008. During this period, the last 1,240 metres of runway 27L were closed for flight operations. The AMC Airlines Boeing 737 commenced takeoff from after lining up from taxiway Y11, leaving 2360 metres for takeoff. This was reported to the crew by ground controller. The crew had calculated takeoff parameters using a computer program, but the takeoff distance calculated by the program was not known to the crew. The event was caused by the crew’s failure to take into account the length of the runway available for takeoff.  the impaired level of crew performance, specifically related to the pilots’ fatigue.